Mark Andrews (born May 19, 1926) is an American politician from the state of North Dakota. He is a member of the United States Republican Party. During the 1950s he began to enter politics, serving on farmers' organizations and Republican committees. In 1962, Andrews ran for Governor of North Dakota, losing to incumbent William L. Guy by just 2,000 votes out of over 228,500 cast. He ran for one of North Dakota's seats in the United States Senate which was being vacated by the long-serving Republican Milton Young who announced that he would not run for reelection and retire after the election. 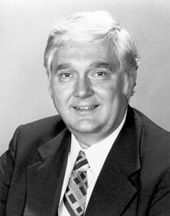 Andrews won the election with 70% of the vote and served in the Senate for one term, from 1981 to 1987. Andrews was defeated for re-election in 1986 by Democratic-NPL Tax Commissioner Kent Conrad by a mere 2,120 votes in what is still considered an upset. This page was last changed on 14 November 2017, at 09:36.